CHARMED gets a special guest star on the Sunday, January 27 episode: JANE THE VIRGIN’s Jaime Camil. 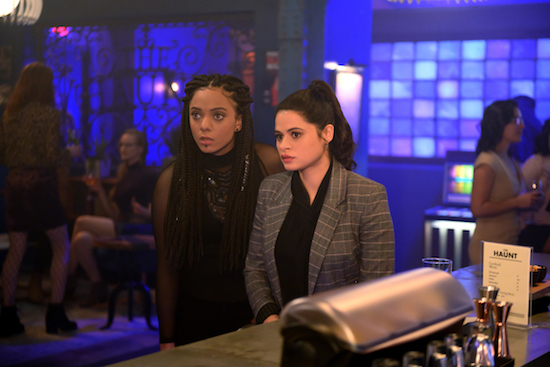 Charmed -- "Witch Perfect" -- Image Number: CMD111a_0078.jpg -- Pictured (L-R): Aleyse Shannon as Jada and Melonie Diaz as Mel -- Photo: Diyah Pera/The CW -- ÃÂ© 2019 The CW Network, LLC. All Rights reserved.